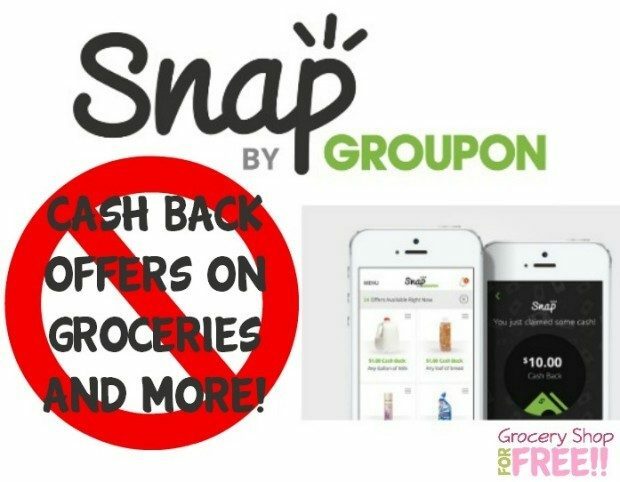 Important New Changes To Snap By Groupon! You are here: Home / Great Deals / Important New Changes To Snap By Groupon! If you are a Snap by Groupon user you might be sad when you hear these important new changes they are making and pretty quickly, too! You should have received an email from them explaining the changes, but, if you didn’t I am attaching it below. You’ll need to cash out if you want your earned cash by 2/29/2016. Your balance will need to be $20 before you can cash out. If you don’t then on 3/1/2016 your Snap balance will be rolled over into Groupon Bucks. They will round your remaining balance up to the nearest $5 when converting to Groupon Bucks. Your Groupon Bucks will expire 9/1/2016. You can opt out of the program before they convert you to a Groupon user, by clicking here by February 29. Great news! Starting on March 1, 2016, Snap will be expanding to include Groupon’s inventory of nearly 70,000 digital offers at top retailers in the United States and Canada. With this update, Snap will be transitioning from product-specific to retailer-specific promotions. Since these new promotions allow for easy redemption and instant savings, we will be sunsetting Snap’s cash back feature. What does this mean for my existing Snap balance? If you have a balance of $20 or more, you can still request your check. If your balance is less than $20 on March 1, per the terms of the Cash-Back Program, you’re not entitled to request a check, but we will be giving you promotional Groupon Bucks in an amount equivalent to your Snap balance rounded up to the nearest $5. Those Groupon Bucks will expire on September 1, 2016, so spend them soon. For more information about how the transition affects your Snap balance and for the terms that apply to Groupon Bucks, please click here. During this process, we will also be converting your Snap account into a new Groupon account. You can opt out of this conversion by clicking here by February 29. Thank you for being such a valued customer, and we look forward to bringing you even more ways to save extra money online and in store at places where you shop every day. Please feel free to reach out to [email protected] with any questions.